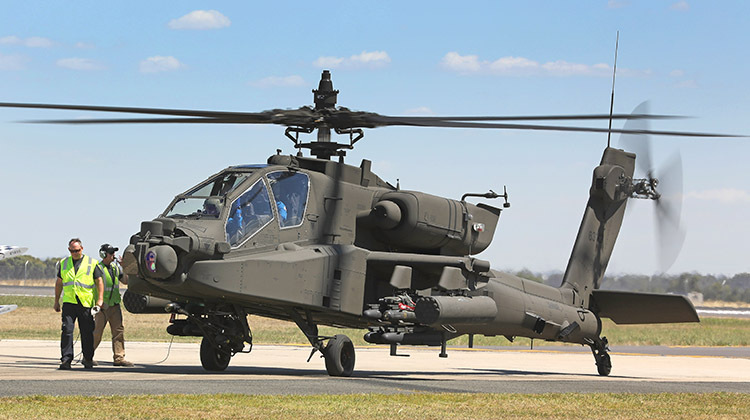 The US Army is studying future requirements for the AH-64 Apache which will take it beyond its current AH-64E Guardian configuration and may see it in service well beyond 2040. Three of the major changes being studied for the ‘Future Apache’ are new engines in the 3,000shp class, the addition of a propulsor in place of the tail rotor, and compound wings to improve speed, lift and range. Other possible improvements include a composite tail boom, advanced cockpit displays, new sensors, and enhanced survivability. The improvements are not yet funded and there is no formal requirement in place, but the US Army hopes to begin securing funding in the 2019-2024 period.